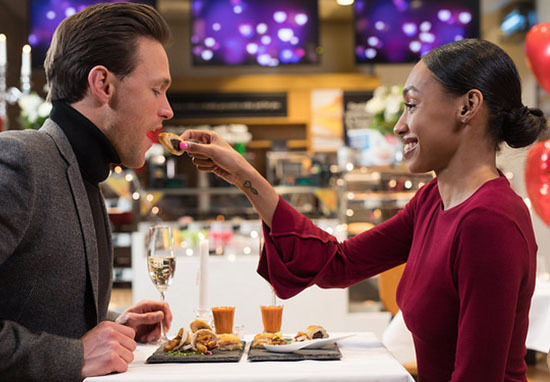 B&M Bargins are selling the cheapest – and saddest – three course Valentine’s meal ever seen by the human eye. Times may be hard, I get that, and some people just won’t have time. But this is something else. For just £3.88, you can now ‘treat’ your loved one to what is essentially a meal of crisps and rice. Struggling for a Valentine's Meal idea?? DON'T WORRY – we've got you covered; our delicious three course meal will charm the socks off anyone! This isn't just a dine in deal… this is a B&M dine in deal ? 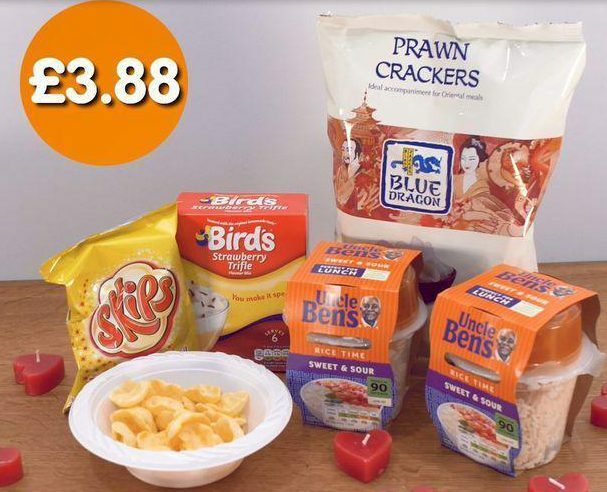 The deal includes one packet prawn cocktail Skips for starters – what a treat – then for the main course, you and your partner can enjoy Uncle Ben’s Sweet and Sour rice pots and a packet of prawn crackers – followed by a Bird’s Strawberry Trifle for pudding. 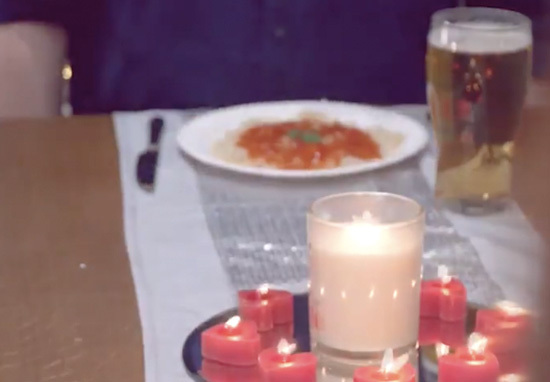 Struggling for a Valentine’s Meal idea? DON’T WORRY – we’ve got you covered; our delicious three course meal will charm the socks off anyone! This isn’t just a dine in deal… this is a B&M dine in deal. Which lucky person are you treating to this?! Vegetarians have one choice, a Mediterranean vegetable lasagne ‘made with Italian egg pasta in a rich aubergine, red pepper, courgette and slow-roasted tomato ragu sauce, with mature Cheddar cheese, creamed spinach, mozzarella and a nut-free rocket pesto’. 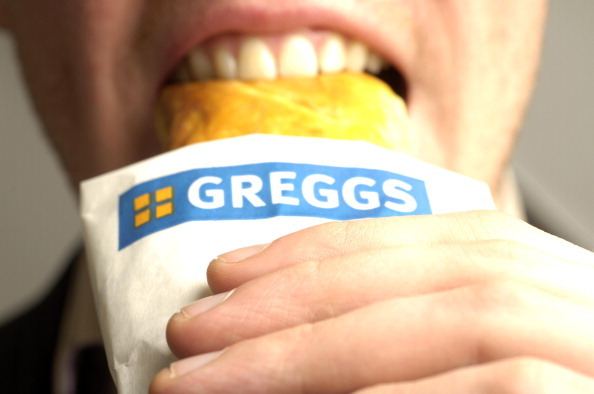 Or if Spoons isn’t quite your thing, why not show your loved one your affection with a trip to Greggs! 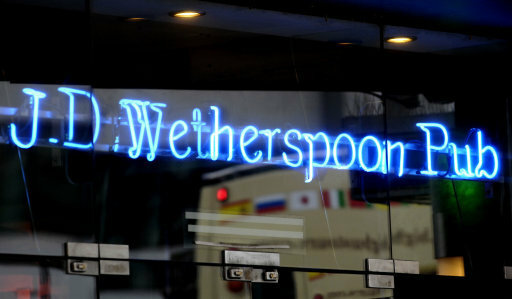 They’re also opening their doors and taking bookings for Valentine’s Day dinner. The final course, or Petit Fours and coffee if you’re a posh, consists of a Belgian dark chocolate brownie, raspberry and almond bite, with caramel shortbread, accompanied by freshly ground Fairtrade coffee made using a unique blend of mild Arabica beans from Peru and Colombia and rich tasting Robusta beans from Tanzania.